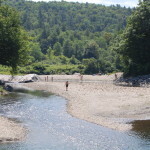 Downtown Waitsfield - Take a day trip! 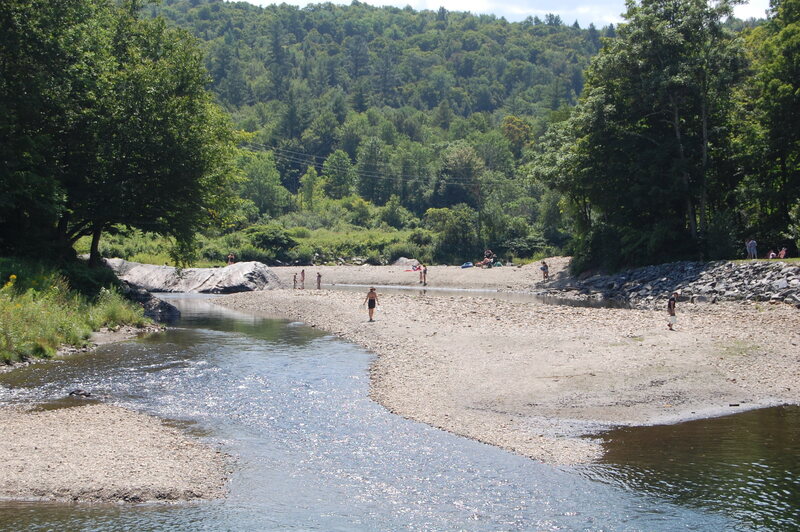 Mad River Valley swimming in Waitsfield. Mountains and the Mad River. 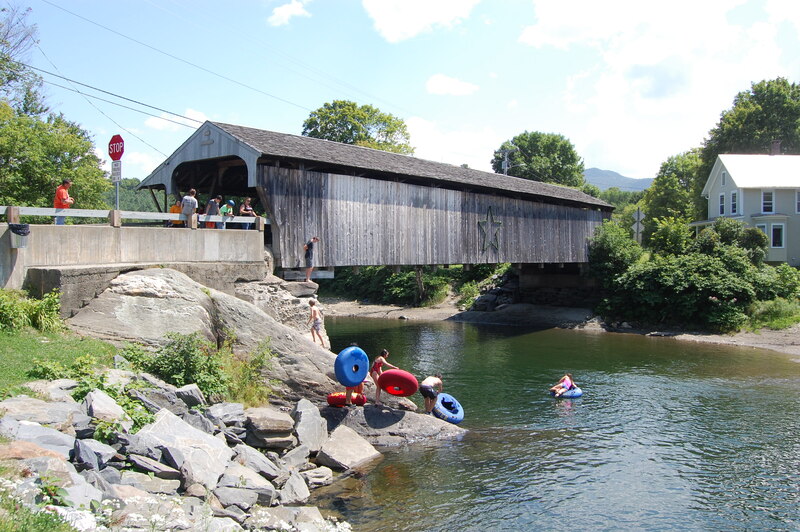 It also boasts one of Vermonts historic wooden covered bridges. It has several lovely local boutiques and a butcher shop. There are also places to eat, a town green and a convenience store nearby as well. The centerpiece of this village is the covered bridge. It’s still in active use and carries a major road in the valley, the East Warren Road. Further down the road is the major shopping center in the Mad River Valley on either side of Route 100 just south of Waitsfield Center. 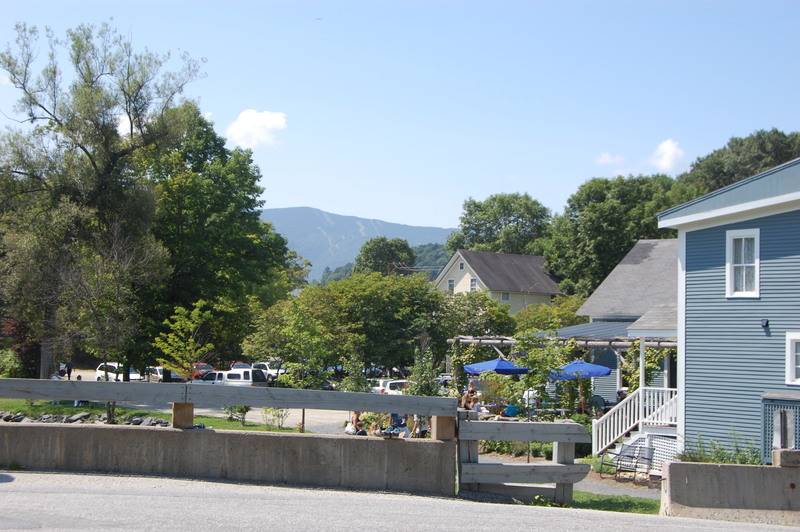 This shopping center also hosts the valleys very large and well-known farmers market every Saturday from Mid-May to Mid-October and runs from 9 AM to 2 PM. For more information visit their website (link). 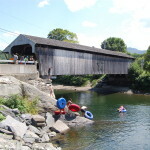 In addition to dining and shopping options swimming is also popular in the summer with a jump off the covered bridge being a popular way to get in the river on a hot summer day!